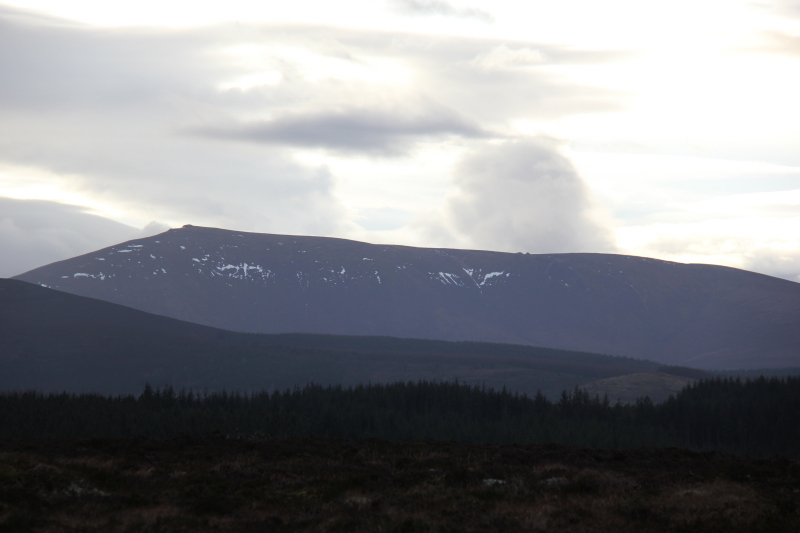 I first successfully ascended Knockan on 12th February 2010, subsequent to a failed attempt on 20th December 2009. Knockan was described as a “wee shite” in the Relative Hills of Britain forum owing to forestry making it difficult to gain access to the summit. 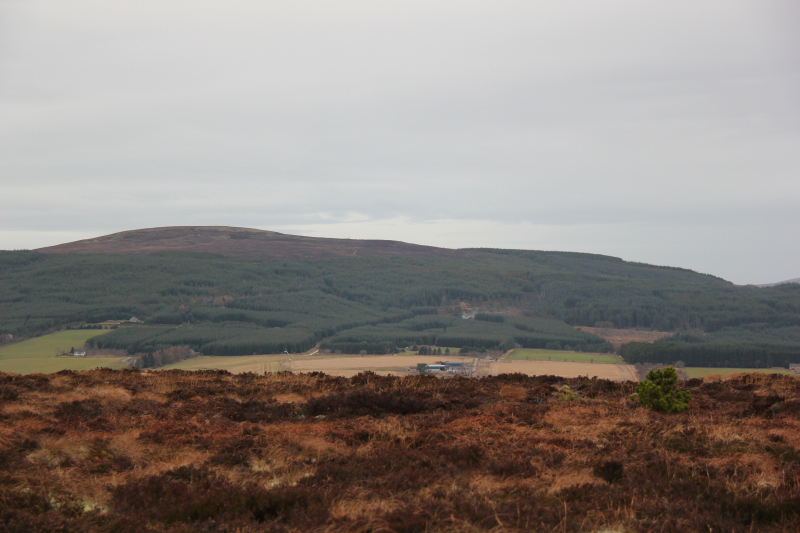 It was an unspoilt wee hill. Unfortunately, Knockan is now really easy to summit. 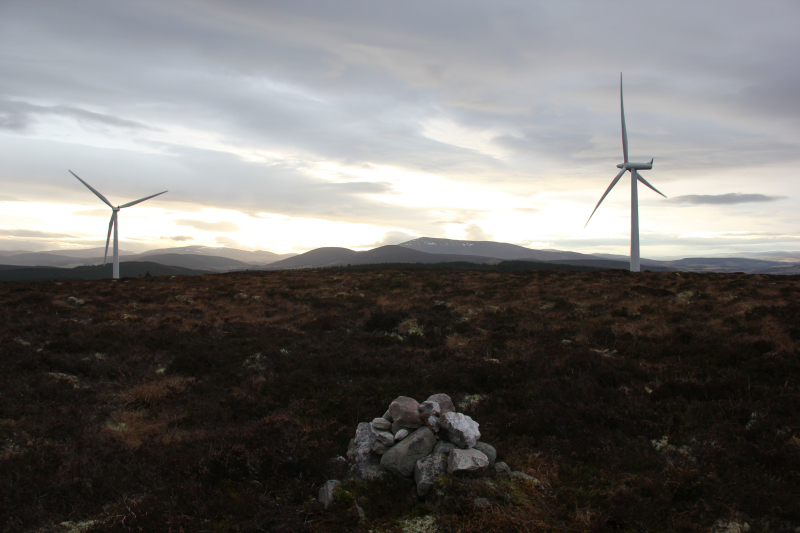 In 2010, construction commenced on the ‘Hill of Towie’ windfarm resulting in in excess of twenty giant turbines covering not only the Hill of Towie but also neighbouring McHattie’s Cairn and Knockan. As well as wind turbines there are also now ugly excessively-wide new tracks. 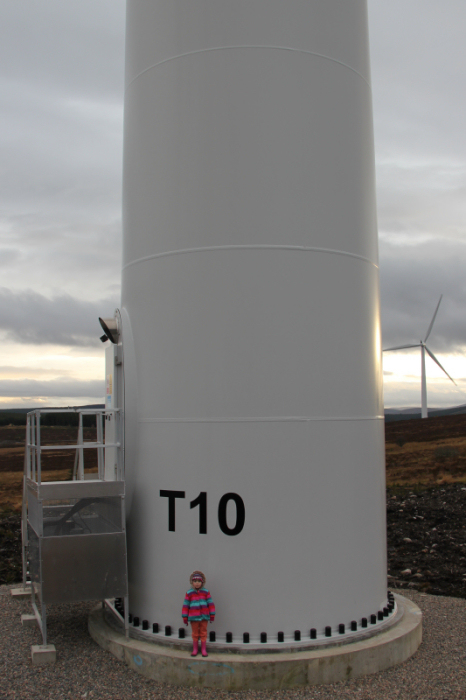 This windfarm eyesore can be seen from much of Banffshire and Moray. 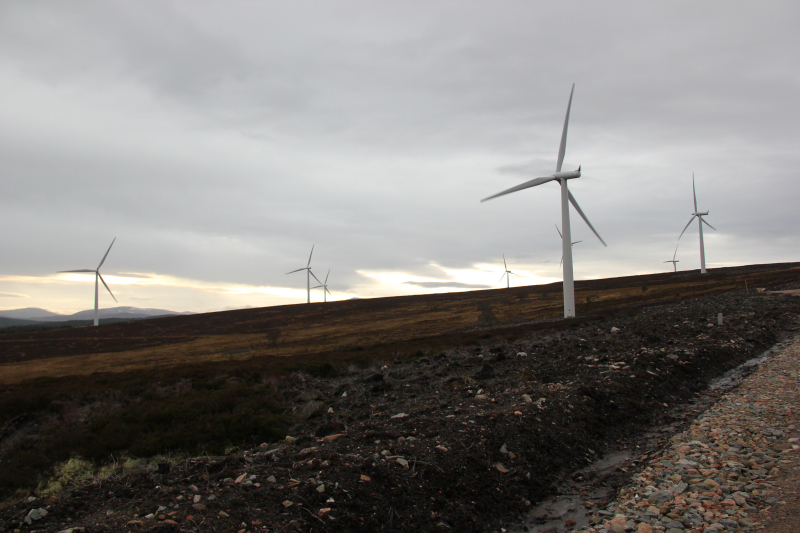 Today, I set off to have a closer look at the destruction caused on Knockan. 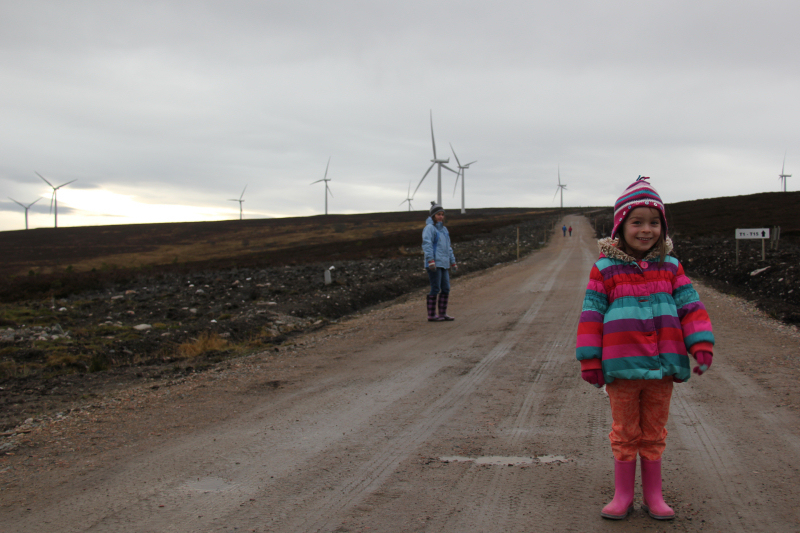 We set off up the large track created for the Hill of Towie windfarm. We followed the ugly tracks to get as close to the summit as possible before leaving the track. 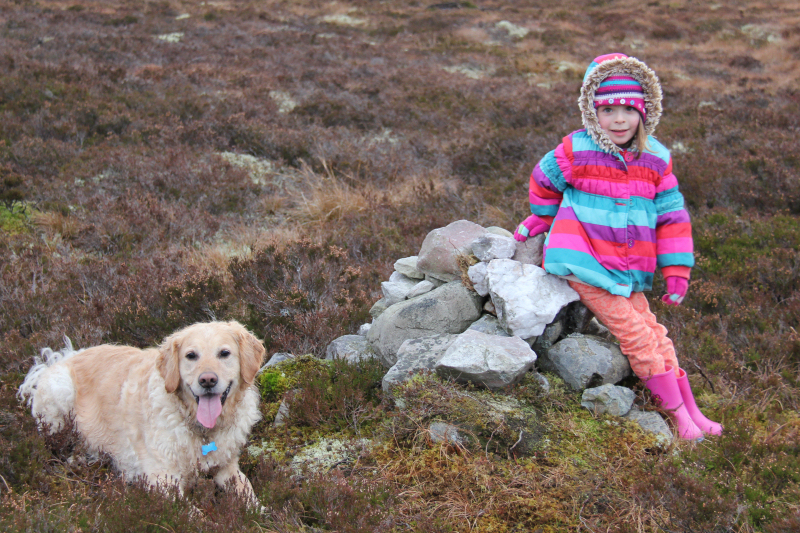 The summit of Knockan can be reached by walking circa 200m across lichen and heather. 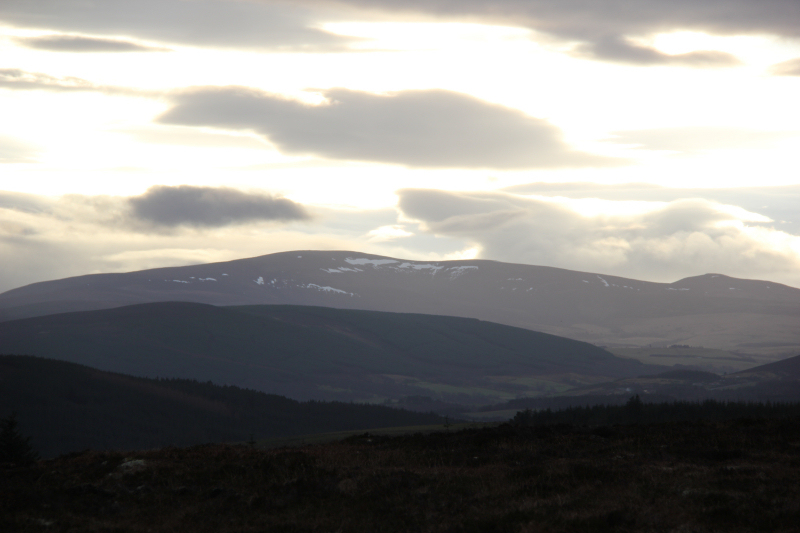 Good to see lots of local hills from the summit. 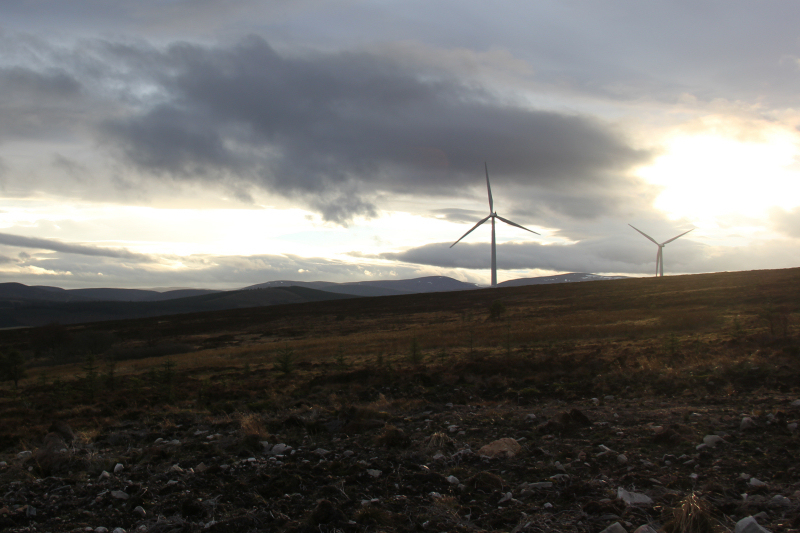 Not so good to have wind turbines uglifying the views and shattering the peaceful tranquility on the hill. During the descent, Becky was brave enough to approach one of these Martian monstrosities. It let out the sound “Ooooooooooooooooh, narrrrrrrrrrrrrrrr”. We narrowly avoided its death ray. 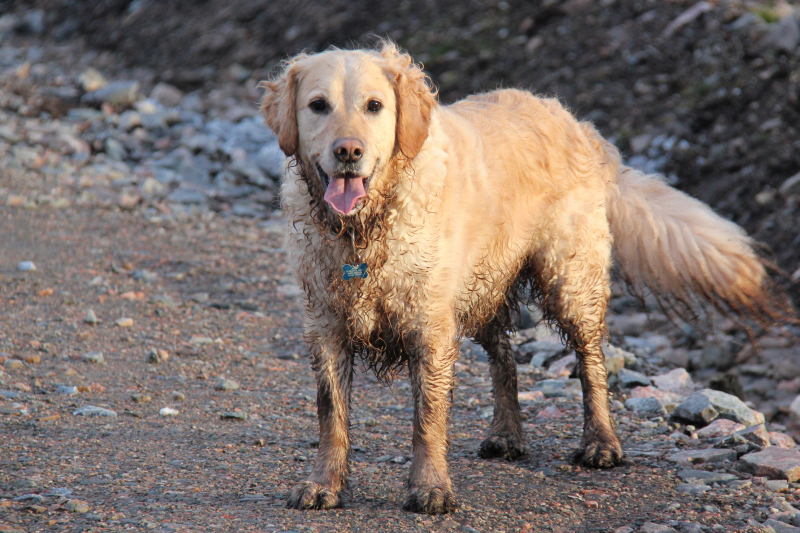 Good to get Becky up her first hill of 2013. Good to get Beinn another new Marilyn. 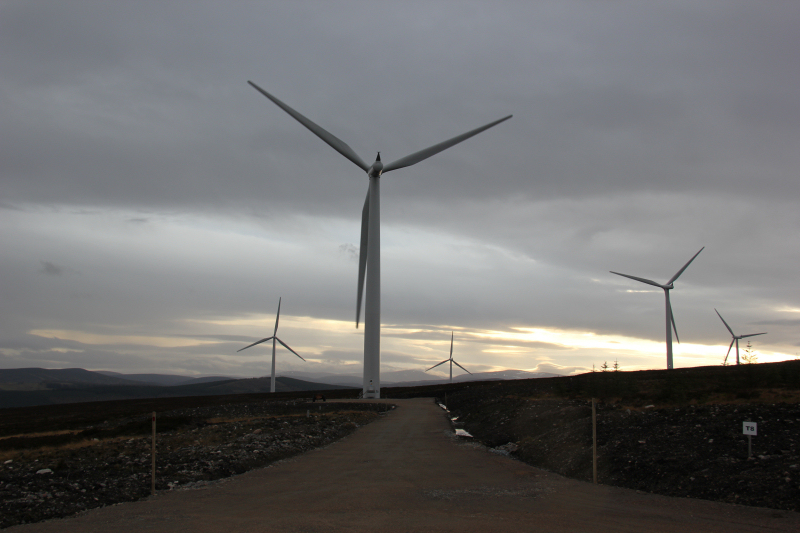 Shame about the turbines .